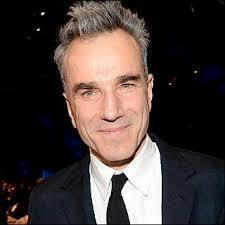 "Daniel Day-Lewis will no longer be working as an actor", the statement read. "He is immensely grateful to all of his collaborators and audiences over the many years." Day Lewis won the last of his three Oscars for his role in Steven Spielberg's 2011 biopic Lincoln. Few actors could so easily convince in such a weighty lead role but this understated and profound performance from this master of his craft rightfully earned him yet another Oscar nod. Another flawless performance from Day Lewis as his uncompromising portrayal as Daniel Plainview in PT Anderson's epic masterpiece saw the actor earn his second Oscar win. Often hailed as his best performance ever, it's easy to see why as the ferocity and complexity of the lead character mesmerises its audience throughout! "I drink your milkshake indeed!" This emotional and unvarnished portrayal of Gerry Conlon in Jim Sheridan's powerful drama sees the actor again deliver emphatically in a performance full of complexity, realism and at times gut wrenching emotion that saw the Wicklow resident again nominated for an Oscar nomination eventually losing out to Tom Hanks in Philadelphia. Tales of Day Lewis' method acting are now notorious as he chose to stay in role between takes in yet another successful collaboration with director Jim Sheridan. The actor took home his first Oscar for this incredible portrayal of well-known author and painter Christy Brown in this powerful drama piece. Another menacing performance from Day Lewis saw him nominated for an Oscar yet again for his portrayal as Bill the Butchers in Martin Scorcese' 2002 movie. Clearly the best thing in the film, his electrifying depiction of a brutal and violent character sees the screen simply light up in every scene he is in! Mr Day Lewis...you will be sorely missed!